The Fiji National Uni­versity (FNU) will next year introduce the country’s first full architectural degree and masters qualification, a major boost to the local construction industry says FNU Associate Pro­fessor in Civil Engineer­ing, Efray’im. In addition, he said, a Bachelor of Construction Management and Bachelor of Quantity Surveying are expected to be introduced at the University in 2020. “We will also have a di­ploma to cover the first two years of the degree and in the third year, students can do architectural design,” he said. 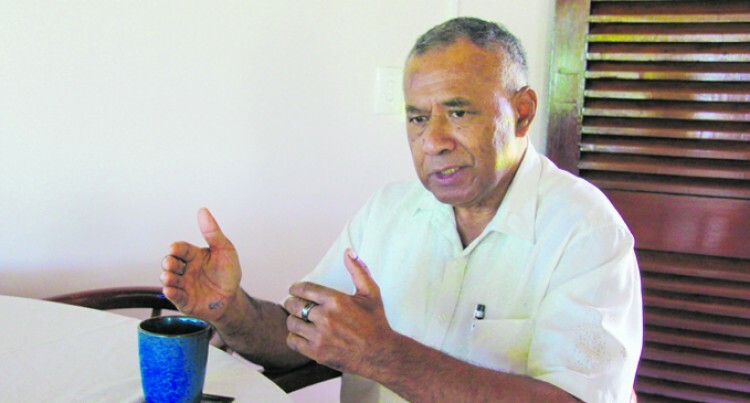 He added that once you graduate from that, you are eligible to be a member of the Fiji Architects Asso­ciation, which also comes under the CIC umbrella. But Mr Efray’im said be­fore that can happen, the relationship between tech­nical colleges and FNU must improve, since a lot of graduates coming out of technical colleges are be­ing re-trained. Technical colleges were established to determine how skill development can achieve sustained economic growth through technical skills in various sectors. “In line with what the construction sector needs, our aim at FNU is for our graduates to be profession­ally competent and indus­try ready. So we now have to re-train them to the re­quired standard,” he adds. Under the Ministry of Ed­ucation, technical colleges do certificates 1 and 2, while certificate 3 is done at FNU. “While FNU has accepted about 120 students to do Bachelor of Engineering, and 60 undertaking Diplo­ma in Civil Engineering, there are not more than 30 students who have come in to do certificate 3,” says Mr Efray’im. He says this reflects the changing labour market demands, with more stu­dents interested in pur­suing tertiary degrees and not vocational trades, which has led to an acute shortage of trade skills in the construction sector. “As the conference will discuss, between civil en­gineering and construc­tion there is a large scope of professional trades that students can pursue from drafting, to survey­ing, plumbing, electrical to roofing, carpentry, tiling and many more,” he added. The review of the appren­ticeship programme he adds is also timely as in­dustry input will be impor­tant moving forward. “The reality is that not all students will get a white collar office job. There are more than enough students every year to allow voca­tional training institutions like the FNU to train for both local industry needs and also the global mar­ket,” says Mr Efray’im.